"A psychological thriller practically made for the #MeToo era . 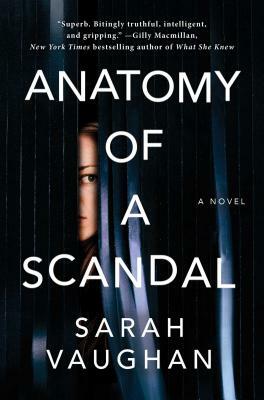 . . ANATOMY OF A SCANDAL is a win on every side: it has a gripping plot, but it's also an intelligent, kaleidoscopic look at the conversations surrounding sexual harassment going on today." "Anatomy of a Scandal completely skewers the zeitgeist; cool, sharp and beautifully written." "The world has gone mad for this book. I’m so excited. What an outstanding premise." "You won't want to miss . . . Anatomy of a Scandal." "It's that rare thing--a book that wholly merits the buzz it's been getting . . . a thoughtful if heartbreaking and, at times, hard-to-read exploration of the complexities of the emotions surrounding sexual violence." "A close observation of character and people, their personal stories, and ultimately, their scandals."